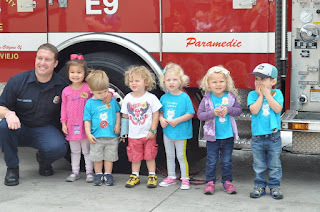 The Civilized Engineer: Co-op Preschool Hosting 7 of 8: The Fire Station! We originally had a different field trip planned for this unit. There is a really cute local park that has a sidewalk painted with traffic lines, complete with stop and other traffic signs. 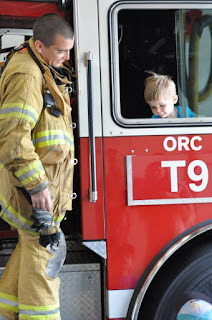 However, a friend's husband is a firefighter, and when she offered to help coordinate a trip to see the fire station, there was no way we could pass it up! We had discussed doing a fire station trip earlier, during our community helpers section. 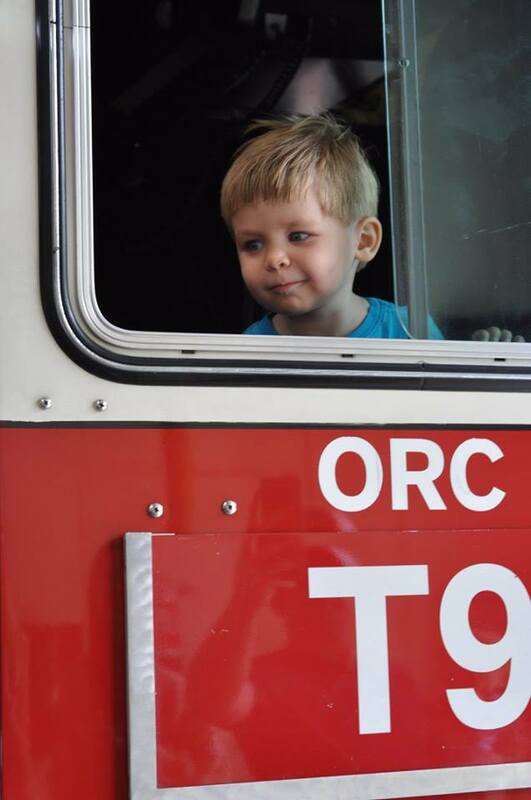 But, the thought of taking 8 two year olds to a fire station was a little overwhelming. We decided it was a little too much to ask of the firefighters which such little kids. Fortunately, my friend also has a toddler and an infant and her husband was familiar with little people. I was still a little nervous. There is something irresistible about firefighters, especially to children. 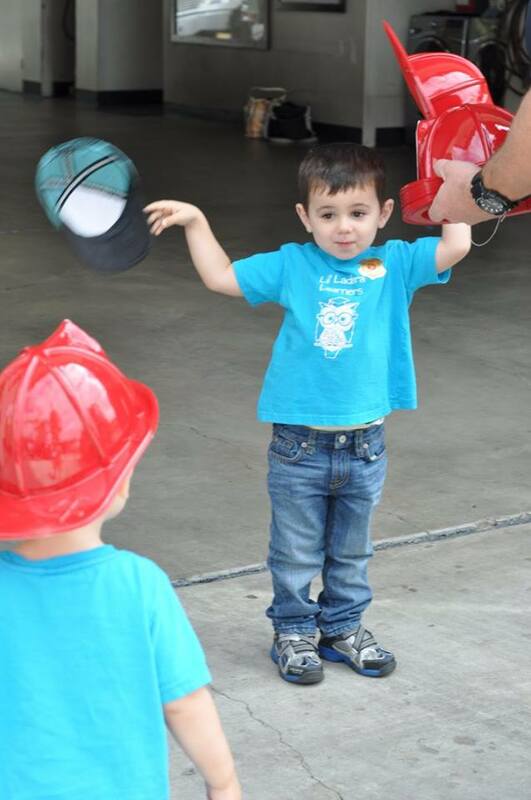 The loud trucks, the fire house, the idea of helping people, and the hoses all appeal to toddlers. My son still insists that everyone wants to be a fireman when they grow up! 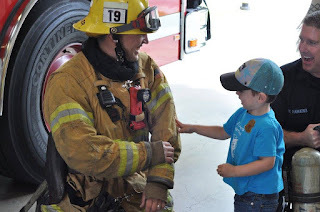 They did a fantastic program where they put had a firefighter put on his suit while the kids watched to help them understand it was the same nice man inside of the big uniform. The more sensitive kids were still a bit nervous, especially of the breathing apparatus, but most of the kids even touched the suit! I have to say, it was one of my favorite field trips of the year and exactly the type of activity I had hoped we could do with our co op group. 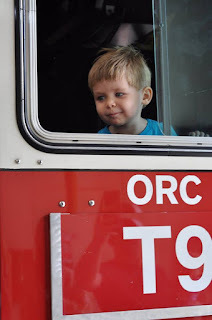 The firefighters were fantastic, the kids had a great time and we learned (or at least were exposed to the idea that) the potentially unsettling sight of a firefighter is just someone who wants to help us. Thank you so much to the firefighters at Station 9 for having us!